Today I'm teaming up with Chica Fashion to celebrate the arrival of Spring with an awesome beauty giveaway! 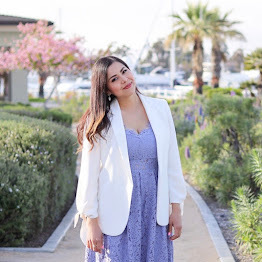 Chica Fashion is written by the gorgeous Latina Fashion and lifestyle blogger Alicia who has chosen these awesome beauty items! Enter today to win a 13 piece prize pack valued at $65! Contest ends 4/6/2013. ☮, ♥ & Good Luck! I'm most excited about the 36 eyeshadows! Thanks for a great giveaway! Yay to the eyelashes, nail polish and brushes. I've also REALLY been wanting to try that sponge! Jenni Rivera BH Cosmetics 36 Color Eyeshadow & Blush Palette!! Jenni Rivera BH Cosmetics 36 Color Eyeshadow & Blush Palette !